55 Features Every Small Business Website Must Have #Infographic ~ Visualistan '+g+"
A website should be much more than a business card. 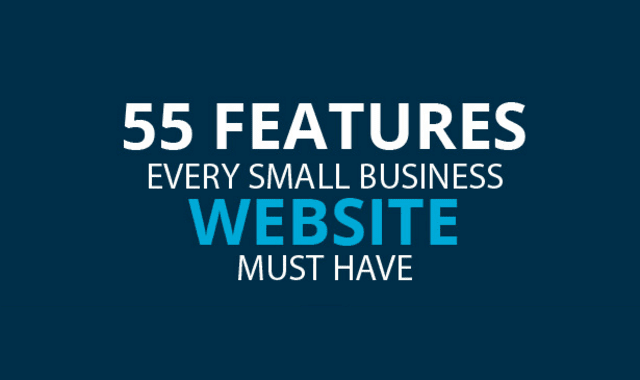 Here are 55 features that you need to consider for your small business website. Small business owners know the importance of having an effective website to stand out in the competitive marketplace these days. But, many people find it challenging and don’t have enough time to take this task of building their website themselves. When creating a website, a lot of small business owners create basically an online card i.e. website which includes a company name, list of services and phone number. Some may even add their social page. But that’s not enough to attract your customers. A website should be much more than a business card. If you want your customers to choose you on internet over your competitors, here is what you need to remember. You are not alone. You need to make sure you add quality content, graphics and links on your website. Your competitors are on internet as well, so you need to stand out. Have a look!